Your bed is the most important piece of furniture, you probably know that by now. Do you know how to choose a bed with good feng shui? What is it about a bed that makes it a good feng shui bed? There are some basics you need to know about laying out your bedroom for good energy flow. It is also important to know where you should place your bed in relation to the door and other features in the room. Learn more about how to shop for a new bed and the best way you can give yourself nourishing, refreshing, and invigorating sleep. It is easy to determine the size of the bed you need. The other things like the style of the bed, bed materials, bed construction, headboard, and hardware may trip you up. There is an overwhelming variety of bed choices out there. However, feng shui makes it really simple to choose a perfect bed. The best material for any bed is wood. Any style works as long as you have breathing room under the bed. This means that beds with storage options and very low beds do not provide good feng shui. A good headboard is a must for a good feng shui bed. The best feng shui headboards are those that are solid and made from wood, or the upholstered ones, as they have a very good combination of solid, but also gentle and supporting feng shui energy for you and your bedroom. Bad choices for headboards are like a sieve for energy flow. Do not choose a bed with a headboard made of iron bars unless you want to feel what it is like to be imprisoned or trapped in a hospital bed. Even wooden bars or spindles are like "holes" for the energy to flow past you instead of staying with you. Also, you do not want to go without a headboard. A headboard helps give you stability. Going without one weakens your collection of potential of energy while you sleep. There are a variety of mattresses on the market, choose wisely and invest in the one that will promote best sleep and relaxation. The better you sleep at night, the better health you will have; this is really simple. Do not buy used mattresses, this is bad feng shui. The best colors for your bed linens are the so-called skin colors. Combine this with the decor colors you love in your bedroom. Since your bedroom is part of the trinity of the most important rooms of the house (the others are the kitchen and bathroom), you should pay close attention to your bedroom layout, placement of the bed in the room, and items you have in the room. 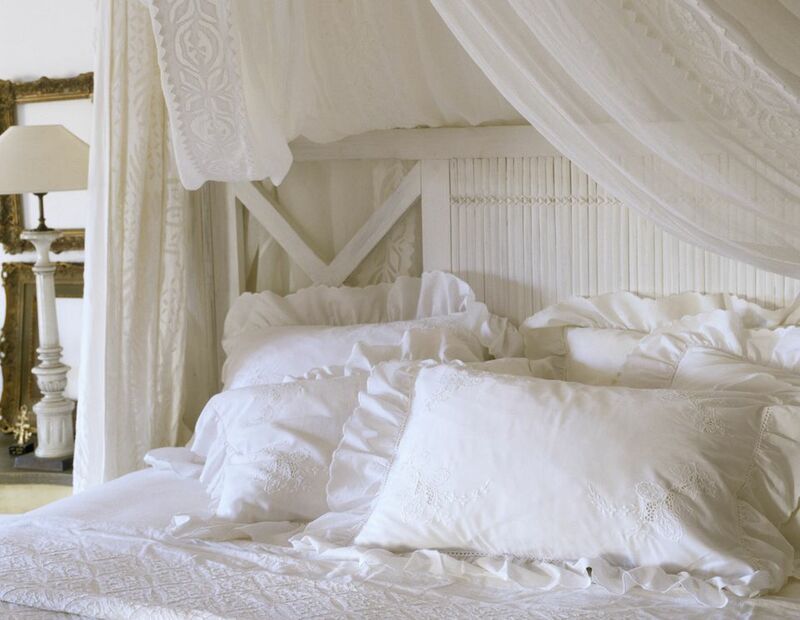 If some of these items are off balance, there are ways to remedy the feng shui of the bedroom. Items or features that can affect the bedroom include items hanging above the bed like a ceiling fan or mirrors facing the bed. Also, if you have a sloped ceiling room, like an attic room, remedies can help you figure out how to best combat the drain of energy the ceiling could potentially have on you.